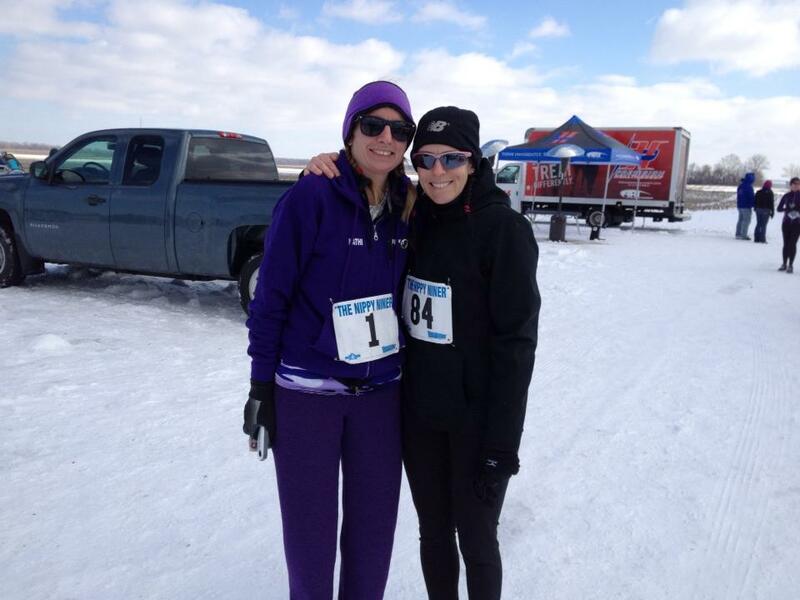 I ran the Nippy Niner on 3 February 13. 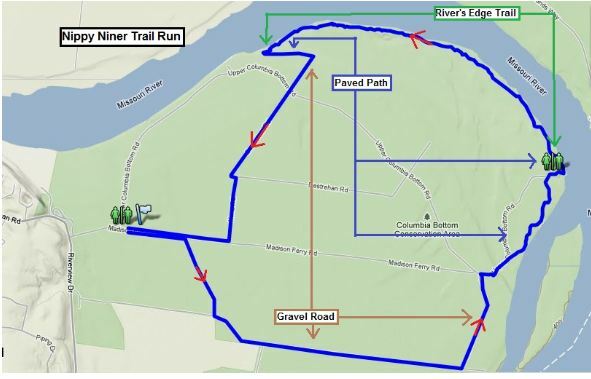 This race was 9 miles and took place at the Columbia Bottom Conservation Area. The course was a combination of gravel and trail. Conditions for this run were snow, ice and 32 degrees. I’m sure it was a whole lot colder with the wind! This is by far the hardest race I’ve ever run. I came in 4th or 5th for my age group (conflicting information on the website) and finished at 1:30.05, 78th out of 146. I ran this race with Kathi White(Road Warriors, picture inset). We started off about 730, went to the wrong location and drove like a bat outta hell to get to the correct location with 10 minutes to spare. It started snowing about 10 PM the night before and by morning there was a nice accumulation of snow on the ground. Needless to say I knew I was in for a tough run. The race started about 9:05, the wind was light and visibility was fairly clear. The first 4 miles were fairly flat. The hardest thing was finding your footing. It was hard to run in track that was already laid by faster runners because it was slick. If I tried running in the fresh snow that was hard too! 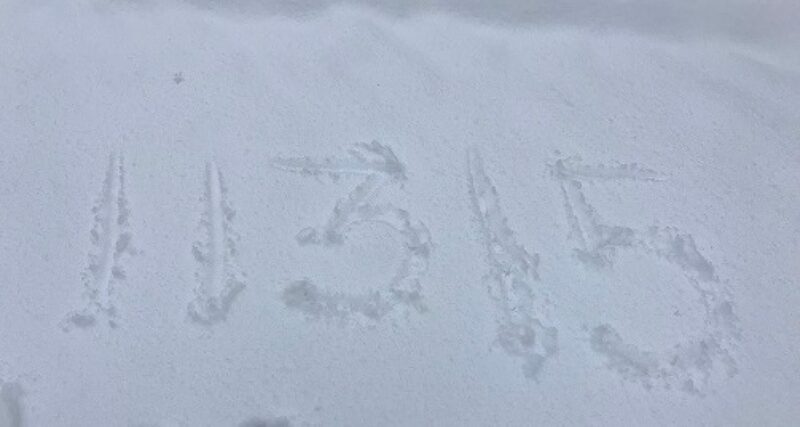 Imagine running through 3 inches of snow. It’s not easy. This is highly different than running on regular ground. You are using a lot of different muscles. After 4 miles, the trail went into the woods. This is where it got really tough. The trail through the woods was slightly hilly. What made it difficult, is that it was covered by snow, so you couldn’t see the path. It was so icy, I fell a total of four times! It was a beautiful scene, trees covered with snow, the Missouri river to my right. For a while I was all by myself running and trying to make it up those hills. I like to run with music and my IPod decided to die out. Then it was just me and the woods. Hard! It seemed like this path would never end. This is where the mental toughness has to kick in; I found myself wanting to stop when it got tough or when I fell, but the inner part of me knew that if I had to slow down, that was ok, but stopping wasn’t an option. This went on for about 3 miles. When I emerged from the woods the trail went up a hill to the last water station, of course! The lovely man at the water station smiled and said, “Two more to go, now get to it”! Mile eight wasn’t too bad, then there was mile nine, the hardest of them all. The wind had kicked up exponentially, and it looked like I was running in the Arctic. I couldn’t see the path, so I was just following people in front of me. The wind was so hard my right side of my face started to get numb. If you’ve ever run a race one of the hardest things, to me, is seeing the finish line off in the distance! You can see the end in sight but you know it’s going to be a while until you get there, and knowing that you have to keep going. The final ½ mile was against the wind and really cold. All in all it was a good race and a test of my endurance. I highly recommend it if you are looking for a challenge.